More than three years after the beginning of the wave of Arab uprisings, an understanding of the role of intellectuals in political change across the region has never been more important. This timely volume on Intellectuals in the Modern Middle East combines geographical and chronological breadth and draws on a diverse range of approaches including intellectual history, political science, art history, social policy and political philosophy. 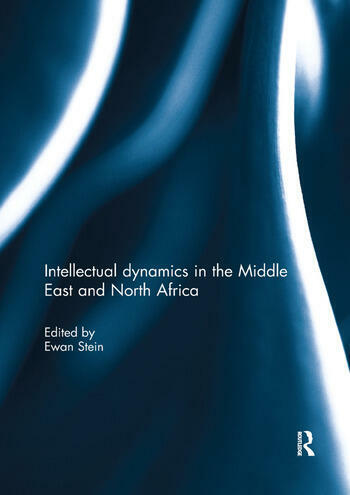 Together, the chapters provide a window into the diversity in intellectual trends across the Middle East from the early decades of the 20th century until the present day. While they do not, and cannot, provide a complete, or even representative, picture of intellectual dynamics in the modern Middle East, they collectively address a range of analytical and normative issues that bear on the role of the intellectual in contemporary Middle Eastern politics and society. Ewan Stein is a lecturer in International Relations in the School of Social and Political Science at the University of Edinburgh. He is the author of Representing Israel in Modern Egypt: Ideas, Intellectuals and Foreign Policy from Nasser to Mubarak (IB Tauris 2012) and co-editor of Twenty-First Century Jihad: Law, Society and Military Action (IB Tauris, 2014).